Since the allegations made against the Appellants in the final report filed by the respondent that the alleged offences were committed by them in discharge of their official duty, therefore, it was essential for the learned Special Judge to correctly decide as to whether the previous sanction from the Central Government under Section 197 of CrPC was required to be taken by the respondent, before taking cognizance and passing an order issuing summons to the appellants for their presence, the Court said while quashing the criminal proceedings against ICMR officials. Supreme Court has quashed the criminal proceedings against Indian Council for Medical Research (ICMR) Officials, who were allegedly involved in unauthorized and illegal transfer of some property. 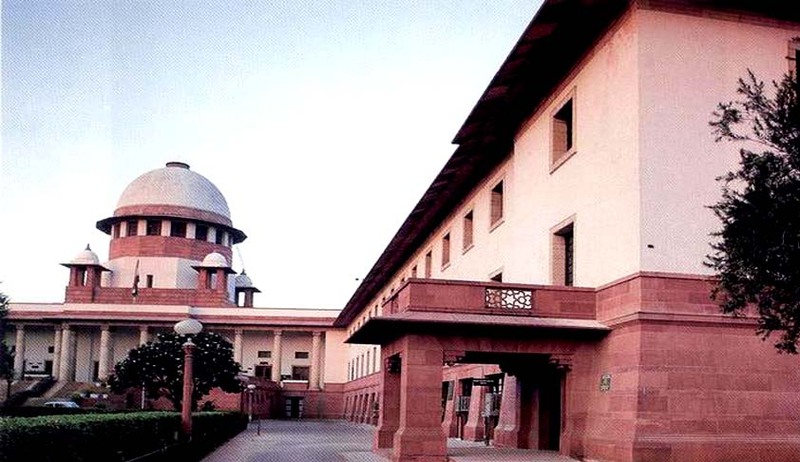 Apex Court bench comprising of Justices V. GopalaGowda and Amitava Roy held that the alleged offences were committed by them in discharge of their official duty, and therefore, previous sanction from the Central Government under Section 197 of CrPC was required to be taken , before summoning the accused. The crux of the complaint against these officials was that the ICMR officials entered into a criminal conspiracy by abusing their official position as public servants and had unauthorisedly and illegally transferred the aforesaid plot from ICPO to ICPO-ICMR Housing Society at a consideration of Rs.4,33,90,337/- which was much lower than the then prevailing sector rate of Rs.18,000/- per sq.mtrs. of NOIDA, thereby, giving themselves and other members of the ICPO-ICMR Housing Society an undue pecuniary advantage. CBI investigated this case and charge sheeted the accused. The Competent authority of Noida declined to grant sanction for prosecution against the accused. However, the Special Judge issued summons and took cognizance of the offence finding that a prima facie case appeared to have been made out by the CBI against the accused. The challenge against this order in the High court did not bear fruit, as High court upheld the order of the Special Judge. Hence the accused approached Supreme Court. The Bench referring to various decisions of the Apex Court observed that, for the purpose of obtaining previous sanction from the appropriate government under Section 197 of CrPC, the alleged offence is to be committed in discharge of official duty by the accused. The bench also said that it important for the Court to examine the allegations contained in the final report, to decide whether previous sanction is required to be obtained by the respondent from the appropriate government before taking cognizance of the alleged offence by the learned Special Judge against the accused. The court held that the allegations made against the accused officials in the final report is that the alleged offences were committed by them in discharge of their official duty. The court added that it was essential for the learned Special Judge to correctly decide as to whether the previous sanction from the Central Government under Section 197 of CrPC was required to be taken by the respondent, before taking cognizance and passing an order issuing summons to the appellants for their presence. Topics : ICMR Officials | Prevention of Corruption Act 1988 | Previous Sanction | Prior Sanction | Prof. N.K. Ganguly v. CBI | public servant | S.197 Cr.PC.